County and town councillor Padraig MacLochlainn has been selected as Sinn Féin's candidate in the Donegal North-East constituency. 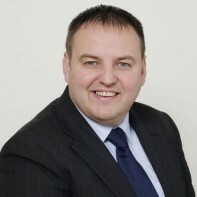 Though he has served on Donegal County Council since 2004, MacLochlainn's previous general election attempts in 2002 and 2007 were both unsuccessful. The 37-year-old was the national director of Sinn Fein's anti-Lisbon Treaty campaign in 2008. MacLochlainn served as Donegal spokesperson for the Irish National Organisation of the Unemployed (INOU) from 1997 to 2001.